Jordan A. Stave is an associate in the Litigation practice. 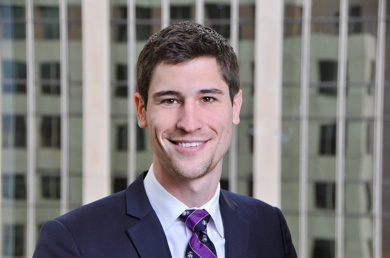 Since joining the firm, Jordan has been involved in drafting motions for the court and legal memoranda in a variety of practice areas including contractual disputes, trust and estate litigation, legal malpractice, and condominium foreclosure matters. In addition, Jordan has assisted in depositions, mediation, and arbitration proceedings. During law school, Jordan served on Law Students in Court and represented clients in a range of matters before the Superior Court of the District of Columbia. He also served as a law clerk in the United States Attorney's Office where he assisted with discovery, prepared trial exhibits and witness files, and briefed attorneys on incoming defense requests. Jordan is fluent in English and German.